December 26, 2017 - by benign0 - 13 Comments. Back in the time of former President Benigno Simeon “BS” Aquino III, no amount of calls to resign even following astounding displays of incompetence — often resulting in fatal outcomes — could move any government official to relinquish their posts for the sake of delicadeza. Despite mind-boggling pork barrel thievery with money trails leading back to just one office, Budget Secretary Butch Abad refused to own up. Despite astounding incompetence in leadership that led to the massacre of 44 Special Action Force officers, President BS Aquino was unmoved by calls to take personal accountability. Indeed, this one was made worse by the fact that it involved, at the time, suspended Police Chief Alan Purisima who was nonetheless given leadership or advisory responsibility over that mission by Aquino himself. And, last but not least, despite the immense weight of evidence that the Philippine government conspired with terrorists to carve off a chunk of Mindanao into a “Bangsamoro Nation”, former presidential adviser on the peace process Teresita Quintos-Deles remains unremorseful. Yet, today, the resignation of Davao City Vice Mayor Paolo Duterte following “recent unfortunate events” was met with derision and mockery coming from Opposition partisans who have no better argument than ones built around mere speculation on intent. While it is that rare Filipino politician who resigns out of a sense of honour and duty that Duterte stepped up to in this instance, the all-too-famiiar selective manner with which Opposition “activists” routinely apply their thinking faculties was on exhibit yet again. When one stops to think of it, Paolo Duterte did not have to resign. In fact, many observers from the Opposition were, themselves, surprised by this development. A clan and political bloc as powerful and as popular as that of the Dutertes need not have caved to mere Opposition sentiment. Taking that perspective, the resignation of Paolo Duterte should have been welcomed with grace rather than met with scorn by the Philippine Opposition. One wonders what the Opposition remain unhappy about. Paolo Duterte had already resigned. That’s what these Opposition shills wanted presumably. And yet here they are, still issuing their shrill opinions on a matter that had already come to pass. What’s the point? Next Article Is 13th Month Pay Symbolic of Filipino Wastefulness? Is there any Filipino politics out there who have a “delicadeza” & not a “kapal na mukha” or KSP? This is a huge problem in our country today, we’re so sick & tired of those pulpoliticos who are ruled to our country & did nothing but creating a curse into our land. If they couldn’t do such an example of Mr. Paolo Duterte or a Japanese politician who either immediately resigned or committed a seppuku for his alleged scandal like corruption, a sexual abuse or drug trafficking, then they should be executed in an Holocaust-esque by sending them into the gas chamber. That will show a REAL change in our country & end their misery & curses into our land for many years. The end justify the means!!! In some states in America they still have the death penalty. Does that help? No !!! But in the countries like China, Vietnam, South Korea, Singapore & Thailand, the corrupt officials are punishable by death, Mr. Haighton. Does that help to you as well? Incidentally your beloved America have one the highest crime rate in the world! Ehem also compare how big the U.S. and the Philippines. You going Senile of old age? Leni Robredo, the Phony Vice President, who won by HOCUS PCOS and SMARTMAGIC, with the help of the corrupt COMELEC Commissioner Andres Bautista, has no intention to resign. Instead, she holds to her position, as tight as it can be. Butch Abad, who was the paymaster of the DAP and PDAF, a billion peosos thievery, never dared to resign, nor admit any fault. Mar Roxas, the thieve of the Typhoon Yolanda Fund, that disappeared without a trace. Roxas never admitted wrongdoing; nor he can explain, where the Typhoon Yolanda fund went. Aquino, who was full of incompetence; who committed a lot of graft and corrupt practices. Never admitted his being corrupt and incompetent. “Delicadeza”, it is a foreign word, non existent to the Filipino public officials vocabulary. Paolo Duterte, is just a “rare” breed of government official. No Liberal Yellow ever stepped down to power. Nor volunteer to leave their position. Salompass! Mighty Bond! ahahahay! 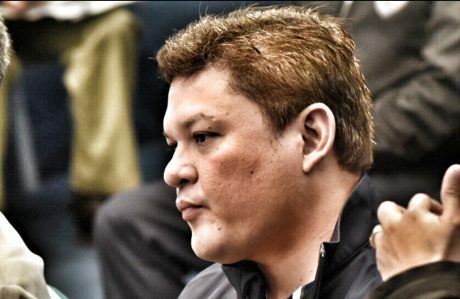 While Paolo Duterte made his “supreme sacrifice”… err, resignation, questions on his alleged links to the Davao Group and the smuggled P6.4 billion shabu shipment will not simply go away. Gordon’s komite de abswelto failed to produce Tita Nanie of the Davao Group, officials of Bureau of Customs get promoted and in contrast to all victims of EJKs being small-time drug suspects, so far there’s no convition in this all-time biggest drug-smuglling case. No outrage from the President!